I have always attempted to treat my patients in the manner that I would like my family treated, so I fully embrace the Mother Standard of care here. Dr. Richard Gilson, an Internal Medicine Physician, came to Cancer Treatment Centers of America® (CTCA), Phoenix, with a longstanding interest in cancer care. He earned his Bachelor of Science degree in General Biology at the University of Arizona in 1982 and his Doctor of Medicine degree at the University of Arizona College Of Medicine in 1986. 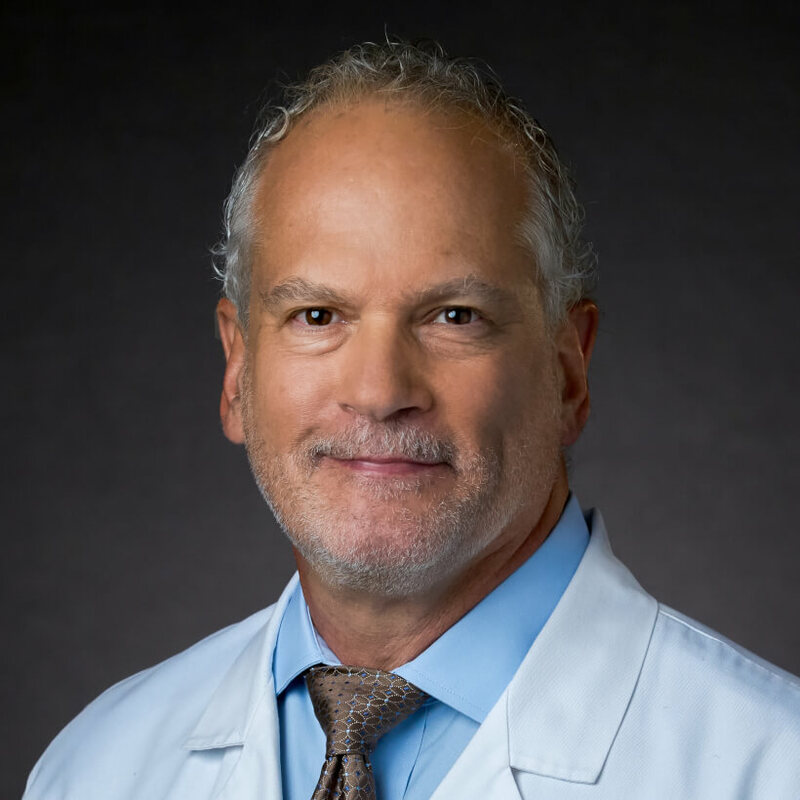 He completed his Internal Medicine residency at Banner Good Samaritan Medical Center/Phoenix Veterans Administration Medical Center in 1989 and worked in the emergency departments of both hospitals from 1988 to 1989. Prior to joining CTCA®, Dr. Gilson practiced primary care internal medicine in the Phoenix area for 25 years. After completing his residency, Dr. Gilson became a Staff Internist at a medical center in Tempe, Arizona, serving as lead physician and department chairman. From 1998 to 2013, he ran his own private internal medicine practice in Tempe, adding medical weight-loss services to the practice in 2008. In 2013, he became a Staff Physician providing primary-care ambulatory services at a large medical center in Phoenix. Dr. Gilson is Board Certified in Internal Medicine by the American Board of Internal Medicine. He is licensed to practice medicine by the State of Arizona, and is a member of the American College of Physicians. Outside of CTCA, Dr. Gilson enjoys spending time with his wife, their four children and their two grandchildren. He enjoys boating, wake-surfing, sailing and family vacations.